Everybody and his dog knows the big blue chip dividend players, but there are plenty of other hidden gems out there waiting to be uncovered. 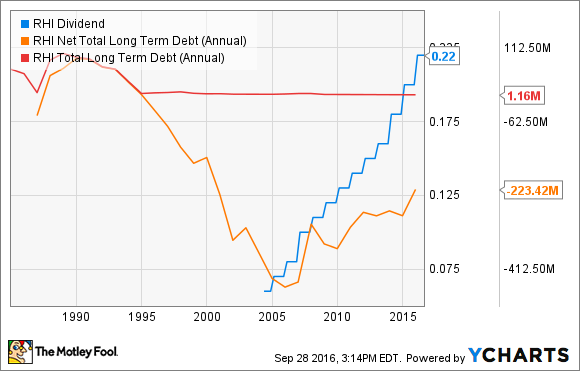 Here are two solid dividend stocks you've probably never heard of. Lazard's special dividend makes it even more compelling. Image source: Getty Images. The world of investing can be a scary and dangerous place, even for those with plenty of experience. For that reason it's comforting for your portfolio to have a chunk of its capital in dividend stocks, which provide guaranteed income each quarter. The best scenario, though, is to find relatively unknown dividend stocks with some upside. Here are two great dividend stocks that you've probably never heard of. The first company is Lazard Ltd. (NYSE:LAZ), a financial advisory and asset-management firm founded in 1848 and operating in 42 cities across 27 countries. Lazard offers services such as merger and acquisition strategic advisory, private fund advisory, restructuring, and capital markets and capital structure advisory, among others, and it offers these financial services to a wide range of customers, including corporations, institutions, governments, and even individual clients. Halfway through 2016, Lazard had $192 billion in assets under management, and it generated more than $2.3 billion in revenue last year. Despite not being a household name and barely known among individual investors, Lazard has a strong global reputation for advising complex scenarios; for instance, Lazard was hired for Greece's sovereign debt situation. Here's the kicker: Because many people are unfamiliar with Lazard, and because it doesn't show up on a simple screen for dividend yield, many investors miss that Lazard pays a special dividend that makes its payout even more compelling. Image source: Lazard's Q2 2016 investor presentation. Lazard's operating margins are a plump 25%. It has been consistently profitable and has a global footprint and diverse revenue streams with a respected reputation. The downside thus appears to be minimal. Robert Half International Inc. (NYSE:RHI) is a compelling company for multiple reasons, but it's not a stock for the faint of heart -- more on that later. Let's start with what the company is: Robert Half pioneered the concept of professional staffing services back in 1948. The company's business is taking advantage of new hiring trends that reflect greater outsourcing, a rise in group staffing for project-oriented business, and the need to fill positions with temporary staff quickly. There are multiple reasons to like Robert Half as a potential investment. Let's start with some intangible assets. Similar to Lazard, while Robert Half is relatively unknown to individual investors, it's built a strong brand and reputation through past results with employers, creating a network effect. Robert Half is the middleman between employers and potential employees looking for the largest number of opportunities -- a network that only improves as more employers and potential employees join the party. Another reason Robert half is compelling is its rock-solid balance sheet. The company has essentially been debt free since 1995 and keeps a healthy pile of cash that has pushed its net debt levels into negative territory. That enabled the company to initiate a dividend roughly a decade ago and grow it consistently. It currently yields 2.3%. Lastly, yet another positive for long-term investors is that Robert Half's management is experienced and focused on long-term strategies. Consider that CEO Harold Messmer became CEO in 1987 and many on his management team have served for more than two decades. The reason Robert Half isn't for the faint of heart is that the company is vulnerable to economic downturns, as revenue and operating income plunged during the Great Recession. Further, Robert Half generated roughly 72% of its top-line revenue from temporary and consultant staffing during the first half of 2016, and 16% from permanent placement staffing -- with the rest coming from other services -- which leaves it very little diversification if there is a slowdown in temporary staffing demand. If you're OK with that type of risk, Robert Half has an experienced management team focused on the long term, an excellent balance sheet, and a history of increasing its dividend consistently.